Published Bestsellers: Not common sense, not rocket science - a challenging, non-jargonistic and practical book. Not common sense, not rocket science - a challenging, non-jargonistic and practical book. 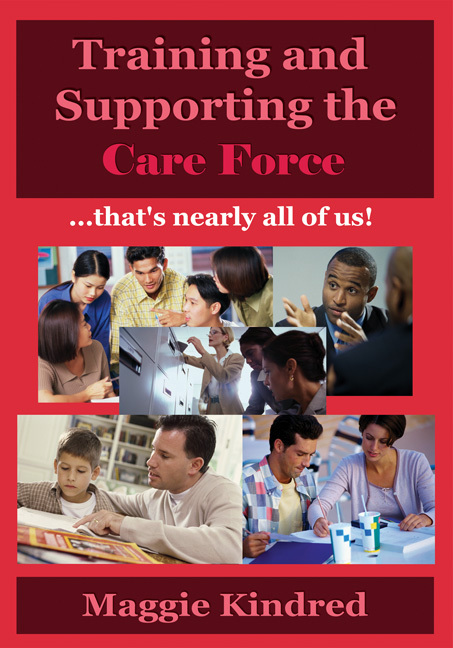 Training and supporting the care force - that's nearly all of us! Carers literally blossom when they are offered non-jargonistic, practical training and support. This book is about helping carers to recognise and value the skills they already possess, and develop these - from this comes an unbelievable amount of support, as well as making all kinds of everyday experiences more interesting and enjoyable. Adage of Kindred Games and Books 'Take the material seriously, but don’t take yourself!' too seriously’.